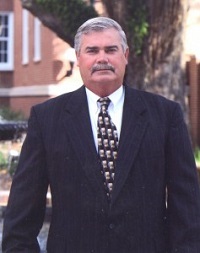 Sam Woodward was appointed as the City of Hardeeville Police Chief in October of 2014. Chief Woodward has more than 28 years of law enforcement experience. He began his career in law enforcement in 1982 with the Hardeeville Police Department. Since that time he has held several positions in different law enforcement agencies. His most recent police work was with the Jasper County Sheriff's Office where he rose to the rank of Chief Deputy. His last title there was Lieutenant over the Narcotics Division. He held the position of Detective heading up the Narcotics and Investigations Divisions, which he says, are his specialties. Chief Woodward says he is looking forward to working closely with all of the council members and staff in the City of Hardeeville. He is also looking forward to working closely with other law enforcement agencies on federal, state, and local levels. Another point that he is focusing on is making sure the people of Hardeeville feel safe in their homes and letting them know the streets are safe as well.